My usual budget doesn't work here. Most groceries cost at least double what we pay at home and petrol is also dearer. Although we wanted to do some small camping trips from Yowah, I wasn't sure we could afford the extra expense. I was therefore quite chuffed to discover a sizeable over-allocation on my spread-sheet. After some discussion, we decided on the Dig Tree as our destination. 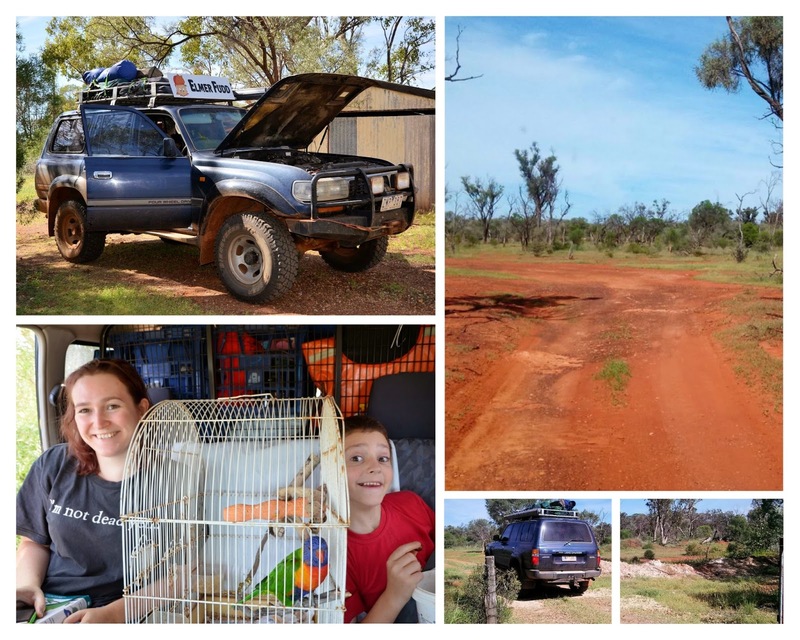 To conserve fuel, we left the trailer behind and packed Elmer only (as we'd done for our Thargomindah night) - though needed to take extra equipment because we would be bush camping (ie. without the benefit of a camp kitchen). We checked the mail before leaving. Oscar's special dry food diet had arrived, so we set some out for him and departed shortly afterward. We exited via the back gate and dirt track across to Blackgate Road, so the adventure started right away!